This is where golf starts and where the golfer is attached to the club. The majority of clubs that I see daily that come in for regripping have long lost their ability to perform well. 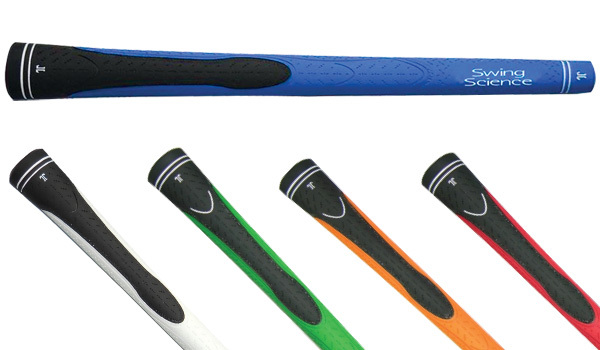 We carry two major brands that are both durable and offer the golfer a great grip at a great price. I can get other brand grips if that is your preference. All prices reflect removal of old tape, grip sized correctly for the individual and new installation of the golf grip per club. 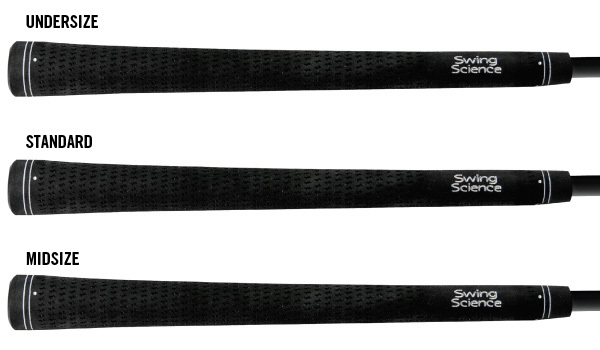 Various grip sizes are available in both PURE and Swing Science, standard, undersize, midsize and jumbo. Normal turn around times are one day. All re-gripping is done by appointment on the east side of Madison, WI. Best way to contact me is cell 608-373-4438 or e-mail. PURE Wrap is a classic, perforated wrap with moderate shock absorption that gives you a more-muted feel at impact. A soft medium tacky feel. Available in many colors. Contact for color availability. $8.50/club. PURE Pro delivers a medium tacky feel with a uniform traction groove surface thanks to PURE’s proprietary PURE Tack rubber. One of the most durable grips in the industry. Available in many colors. Contact for color availability. $8.50/club. PURE DTX is much like cord and a firm feel grip with contrasting rough-and-tacky textures of the PURE DTX work together to provide you with a superior club connection. Available in many colors. Contact for color availability. $8.50/club. PURE Putter I always have on hand PURE Classic std. 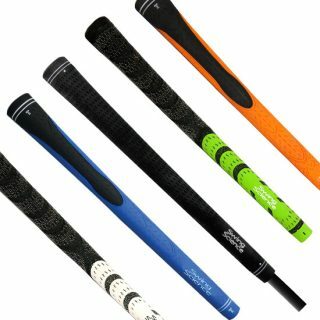 and Mid-size putter grips in color black for those golfers that need a new putter grip quickly. Std. size 70 grams $10/installed and mid-size 83 grams $13/installed. Tour Buffed Velvet from Swing Science the buffed velvet style grip gives you the same feel and performance of the big national brands without the high price tag! Now available in a standard, mid-size and under-size option. Logo can be installed up or down. Std. $5.50/club, under-size $5.50/club and mid-size $5.75/club. Dual Density grip features a harder Durometer on the top portion of the grip for control and a softer Durometer on the body of the grip for feel. Available in a black and dark blue color scheme, this buffed style grip is the perfect match for our Swing Science FC-ONE family of products. Comes in blue, green, orange, red and white. $6.50/club. Dual Density Cord grip features a harder Durometer on the top portion of the grip for control and a softer Durometer on the body of the grip for feel. 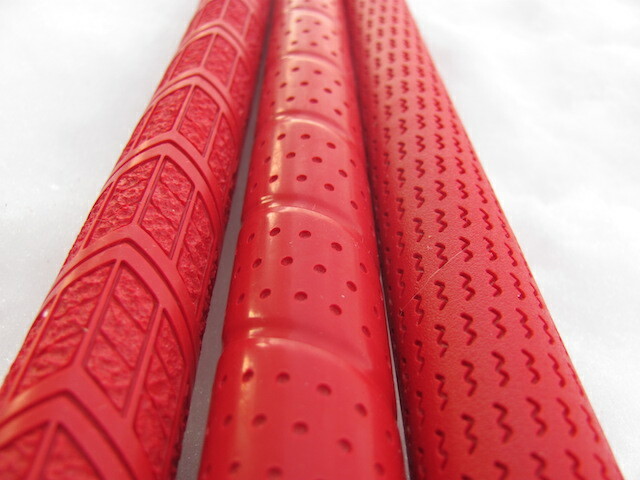 In addition, cord material has been added to the top of the grip to provide more traction, particularly in moist or humid playing conditions. Comes in blue, green, red and white. $7/club. Tour Velvet The most popular grip in golf today combines an exclusive, state-of-the-art rubber-blend compound, non-slip surface pattern for maximum playability, comfort, and confidence. The Tour Velvet® can be installed logo up or down. $9.50/club. I have various other brands and models of grips available Golf Pride, Winn, Super Stroke, Lamkin and others. Call, text or e-mail with brand and model you are looking for.